On Saturday, September 20 the guys at Zaftig are throwing a party and everyone is invited. The party gets started at noon at their Worthington location (545 Shrock Road, Worthington, OH 43229) and runs until 10 pm. The centerpiece of the celebration is a chance to sample five wood aged varieties of their Too Cans Imperial IPA. If you’ve not had a chance to try Too Cans it’s a big bruiser of an IPA, big malts and even bigger hops. I don’t know what different varieties of wood were used in the aging process, but I’ve learned from a reliable source that no parts of the Amazon rain forest were compromised in the brewing/aging process. The event is also an opportunity to meet and welcome Zaftig’s new brew master, Dan Griffin. Dan is an internationally trained brewer who holds a masters degree in brewing and distilling science from Heriot Watt University in Scotland (click here if you want to read an interview with Dan at Drink Up Columbus). Dan may be new to his role as the Zaftig brew master, but he did collaborate with the Zaftig team on their Wee Heavy, which has been my favorite Zaftig beer thus far. So I’m excited to see how his hiring will influence the beers at Zaftig. If you are drinking IPAs that are north of 10% abv it’s a wise idea to put some food in your belly. When thinking of a food pairing for Too Cans Imperial IPA the first thought that comes to my mind is Fruit Loops, but apparently there are no breakfast cereal food trucks in Columbus. 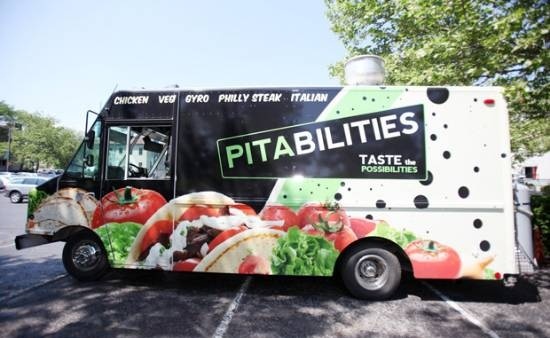 Instead the Pitabilities food truck will be onsite from 3-8 pm. Come to think of it, pita bread will be much more effective at soaking up alcohol than sugar coated breakfast cereal. I guess that kind of thinking is one of many reasons I’m not running a brewery. As if that wasn’t enough there will be live music from three bands: Tye and Friends from 3-5 pm, Merle and Heidi from 5-7 pm, and River Towne Band from 7-10 pm. So if you’ve not been up to visit the Zaftig Brewery and Taproom don’t let this chance pass you by. PS – If you’re not familiar with Zaftig check out my post on them from earlier this year by clicking here.